Various fragments, mostly from LRA2 amphoras but one tall, angular handle, show varying degrees of scorching and adherence of burned and corroded iron. 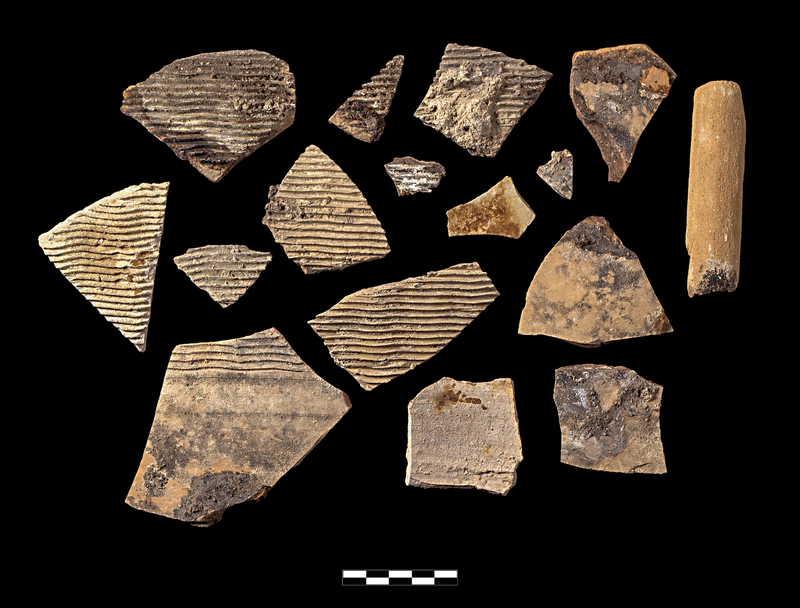 16 small to medium body sherds (a-p) preserve evidence of burning; 40 more sherds from bodies and necks unrelated vessels without burning in same bag. Slight to moderate, sparse to somewht extensive encrustation.